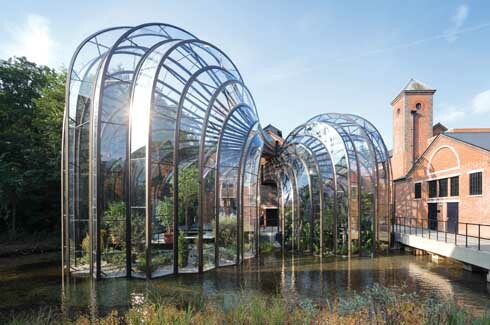 On the banks of the River Test in Southern England, a derelict paper mill gets a new lease of life – it is now the stunning, award-winning home of Bombay Sapphire. It’s a blue bottle that we are all familiar with. 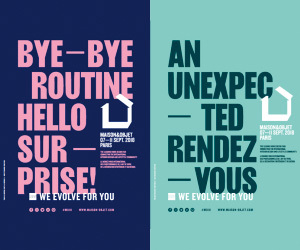 Whether you are a fan of gin or not, you’ve seen Bombay Sapphire’s iconic brand on billboards, in magazines and on shelves in every spirit-serving place around. The two intertwining glasshouses are actually greenhouses that grow ten tropical and Mediterranean plants along with a hundred other plant species. The Bacardi-owned Bombay Sapphire now has a beautiful new home in Hampshire, UK, and it is not a swanky glass and steel monolith. Hampshire, on the southern coast of England, is quintessential England. With forests, abundant greens and two ports, its illustrious residents included Jane Austen and Charles Dickens. An unlikely place for a fully-functional distillery, for sure. As visitors enter the facility, they walk up to the river, cross a bridge and make their way to the main production facility facing the courtyard and new glasshouses. About four years ago, the site didn’t have much to recommend itself except for its scenic location. Built on the banks of the River Test, the derelict Laverstoke paper mill had forty-nine structures put together in a seemingly chaotic manner. But its charm was evident and all it needed was someone with a vision to see beyond the ruins. Much-loved British designer Thomas Heatherwick was called in to the rescue. Heatherwick has a long string of acclaimed designs to his name including the 2012 Olympic Cauldron and the new Routemaster bus for London. This classic and elegant restoration has something for everyone – history buffs, architectural fans and horticulture enthusiasts. He has recently been in the news for his much-debated design of the Garden Bridge across the Thames. 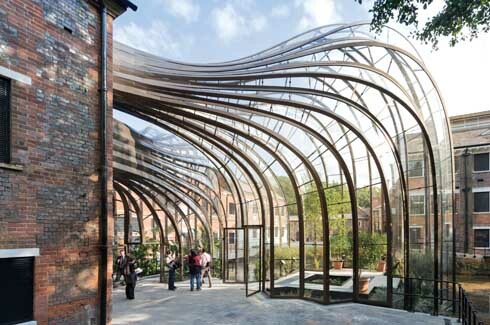 Heatherwick Studios was formed in 1994 and currently has over 160 designers and architects working at their studio and workshop in King’s Cross, London. 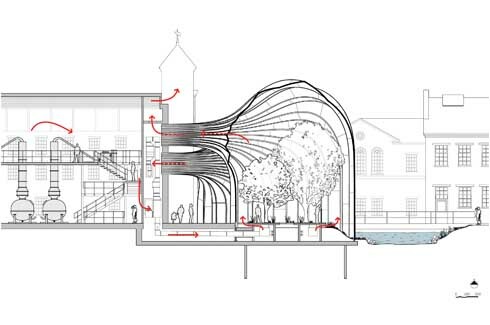 Back in Hampshire, the River Test, formerly almost hidden under a concrete channel, was now central to Heatherwick Studio’s master plan for the distillery. Built on the banks of the River Test lay the derelict Laverstoke paper mill, but its charm was evident and all it needed was someone with a vision to see beyond the ruins. Several of the old structures were removed (in consultation with English Heritage, the governing body for heritage structures in England), the river was widened to twice its original width and its banks were opened out. A central courtyard was created to be the new “gathering area and a point of focus”. While the original brick building with its tall windows provide the authenticity of old English buildings, what is striking are the two glasshouses that change the structure from humdrum to breath-taking. The futuristic glass shells emerge from a window in the main distillation hall reminding one of a gigantic creature from a sci-fi film. 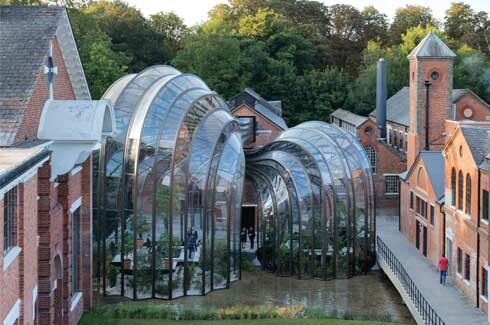 The two intertwining glasshouses are actually greenhouses that grow the ten tropical and Mediterranean plants that give Bombay Sapphire gin its particularity along with a hundred other plant species. The plants include bitter almond, lemon peel, coriander seeds, juniper and liquorice. 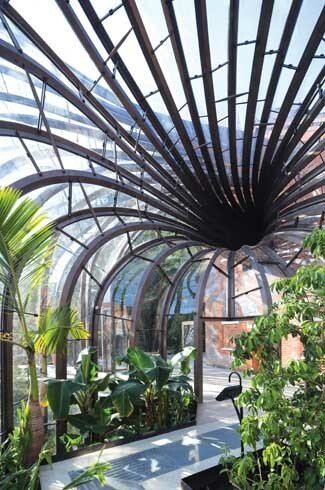 In a perfect nod to sustainability techniques, the glasshouses are fuelled by the spare heat recycled from the machinery in the gin distillation hall. The two glasshouses then flow and embed themselves into the newly-widened river creating a lush space for visitors to wander through. The finished built structures are made from eight hundred and ninety three individually-shaped two-dimensionally curved glass pieces held within more than one and a quarter kilometres of bronze-finished stainless steel frames. In their entirety the glasshouses are made from more than ten thousand bespoke components. 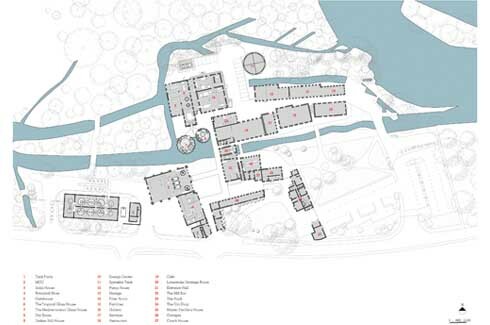 The courtyard and the greenhouses are not the only spaces opened to visitors in autumn 2014, the whole distillery is. 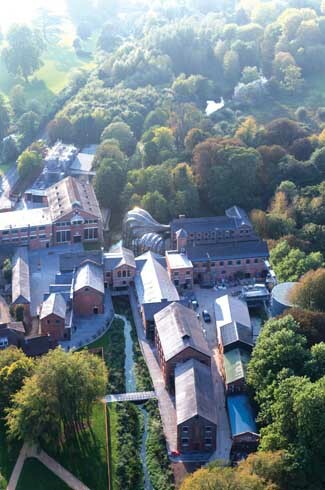 As visitors enter the facility, they walk up to the river, cross a bridge and make their way to the main production facility facing the courtyard and new glasshouses. Visitors get a rare inside look at a working distillery (set to produce 2.3 million cases of gin each year), passing through various levels and processes. This production technique, that is different from those used by other gin distillers, is still carried out in accordance with a recipe devised in 1761 and involves infusing the gin with the vapours of ten tropical and Mediterranean herbs and spices. This classic and elegant restoration has something for everyone – history buffs, architectural fans and horticulture enthusiasts. 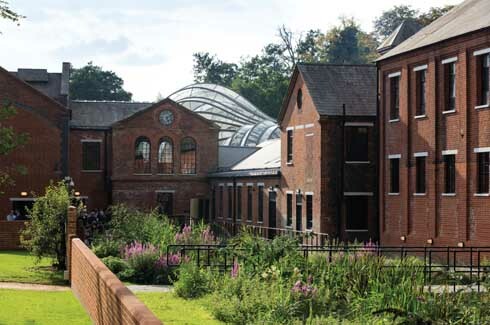 And if you are all of these and enjoy a swirl of gin as well, you must put a visit to Laverstoke Mill and its Bombay Sapphire, way up on your to-do (and to-drink) list.